With October rapidly coming to a close, people are busy getting ready for the scariest time of year. 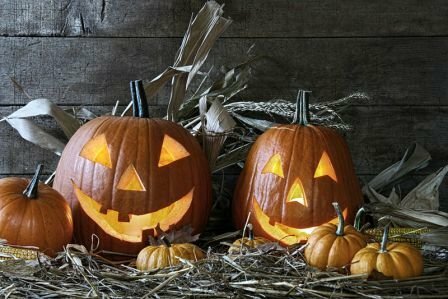 There are plenty of spooky events taking place all over Long Island and regardless of whether you’re looking for something kid-friendly or something geared toward adults, you won’t be disappointed. It’s time to start making Halloween plans, so we here at Westbury Toyota have put together a quick list of five great local Halloween events for you to check out! This family friendly event will be taking place at Old Westbury Gardens for its seventh consecutive year. There will be more than 5,000 fantastically carved pumpkins to look at, all arranged into creatively eye-catching, life-sized art pieces including a skeletal biker gang, a fire truck, and a 40-foot biker gang. What’s more, there are going to be dozens of large pumpkins (100 pounds plus!) carved and painted with amazing artistry on display. If you’re curious about how it’s all done, check out the live pumpkin carving demonstrations and feel free to ask the artists any questions you have. RISE of the Jack O’Lanterns takes place over several evenings this month and advance tickets are required, so visit the website for more info! There will also be great local restaurant deals for everyone in your family or friend group if you happen to develop an appetite during all the fun! For more information, make sure to check out the event’s website so you can plan out the whole weekend! Leave the kids at home for this one! Happauge’s Chamber of Horrors is one of Long Island’s most terrifying haunted house attractions. This year, the Chamber of Horrors is featuring the Trilogy of Fear: The Maze of Mayhem, the Maniac Manor, and the Chamber of Horrors itself. You can also enjoy a live stage show performed by the 40 live actors who work hard to make this event as scary as possible. This event is open every Friday, Saturday, and Sunday in October, and is also open from the 25th to the 28th, the 30th, and the 31st. If you’re looking for something a little more adult oriented for Halloween, this is the place to be. If you enjoy the thrill and challenge of escape rooms and want to try one with a truly spooky Halloween theme, set aside some time to head to West Hempstead this month. Make sure to grab some friends, though – these escape rooms require some serious teamwork in order to solve all the puzzles Try out either the Killer Feature (moderately scary) or Disorderly Conduct (slightly scary) for just $28.00 per person. This is another fantastically horrifying haunted house attraction on Long Island. It consists of almost 10,000 square feet of labyrinthine corridors and themed rooms, all designed to scare the pants off of everyone who sets foot inside. This feature is open for the remainder of October up to November 5th. After you’re done being scared nearly to death, you can visit the themed beer garden to enjoy food, drink, and a variety of different kinds of entertainment – including live bands and DJ sets. Halloween will soon be here, so why not take advantage of the plethora of local Halloween events here on Long Island to make sure that this year's scariest season is a memorable one? After putting together this list, the Westbury Toyota staff is looking forward to checking them out both to enjoy Halloween to its fullest and to support local festivals and events. We hope to see you there!